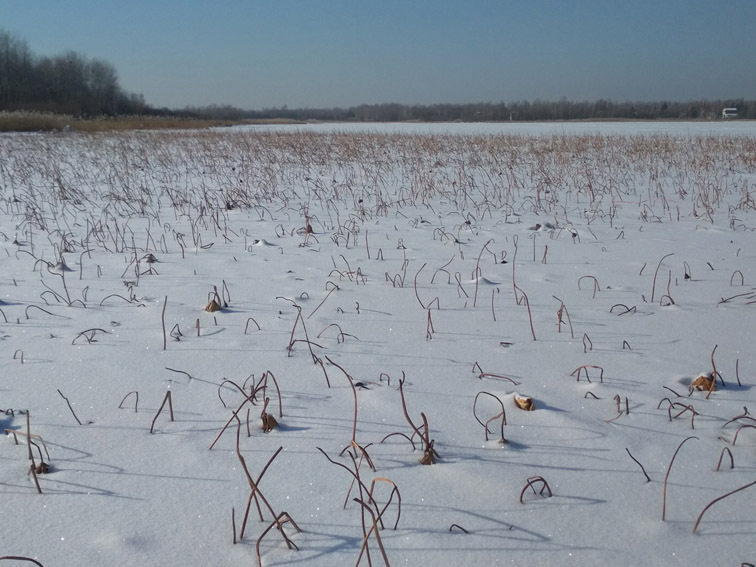 In January, the lake sleeps under thick ice. 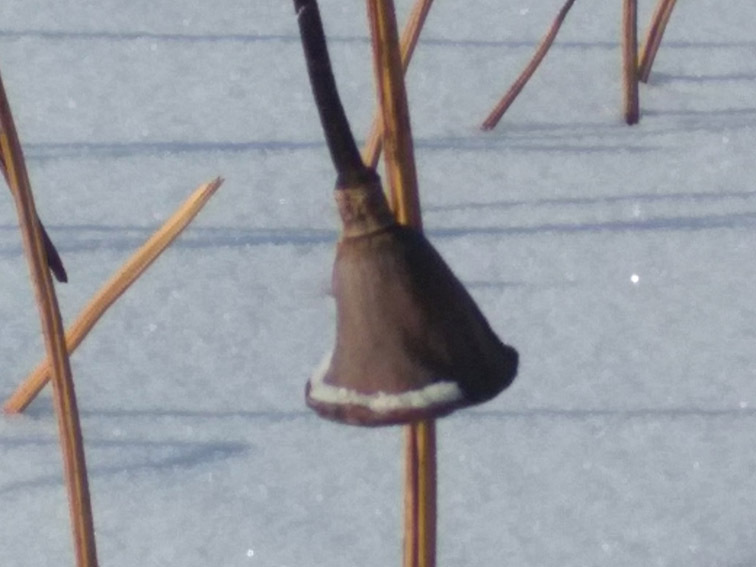 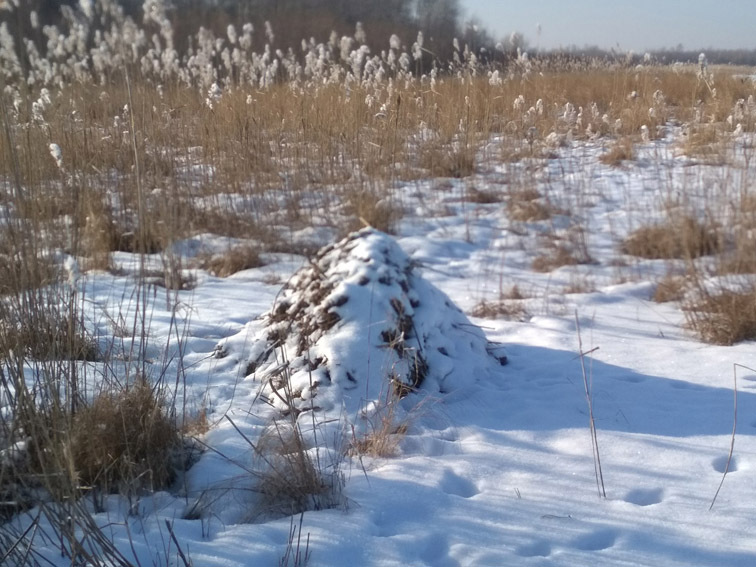 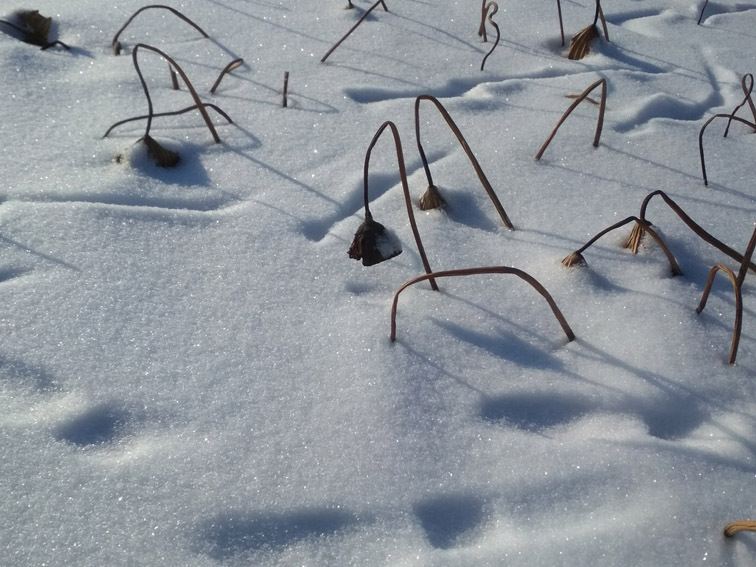 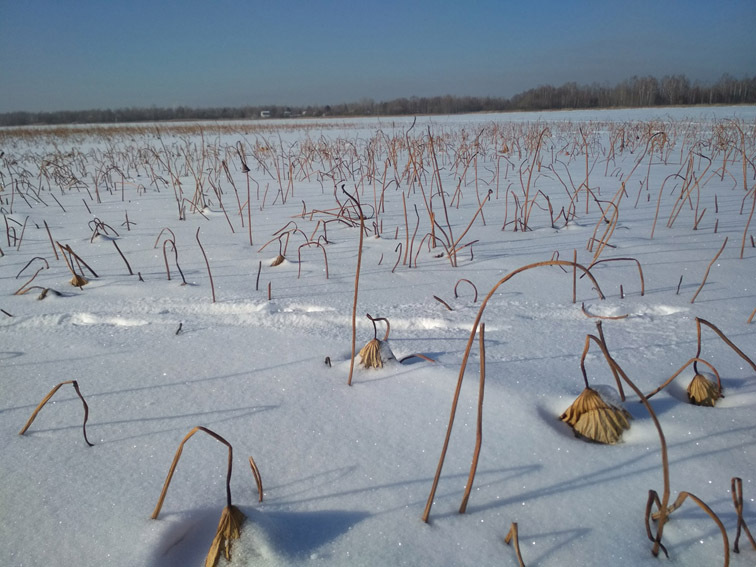 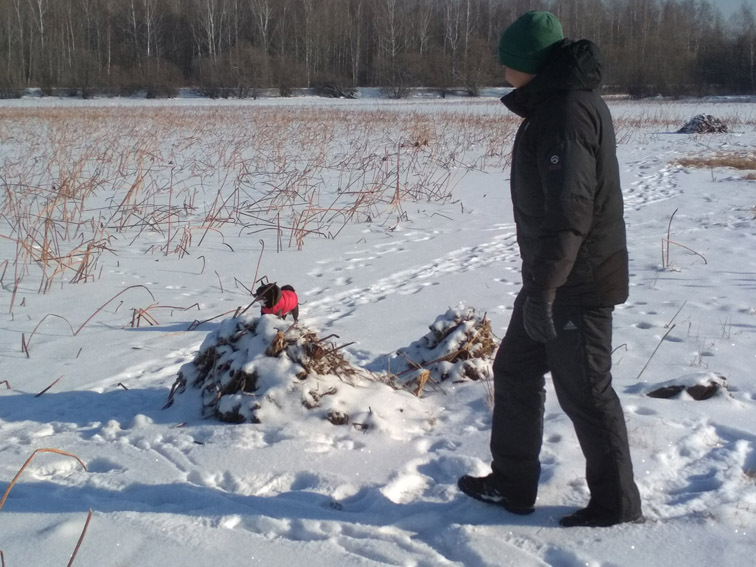 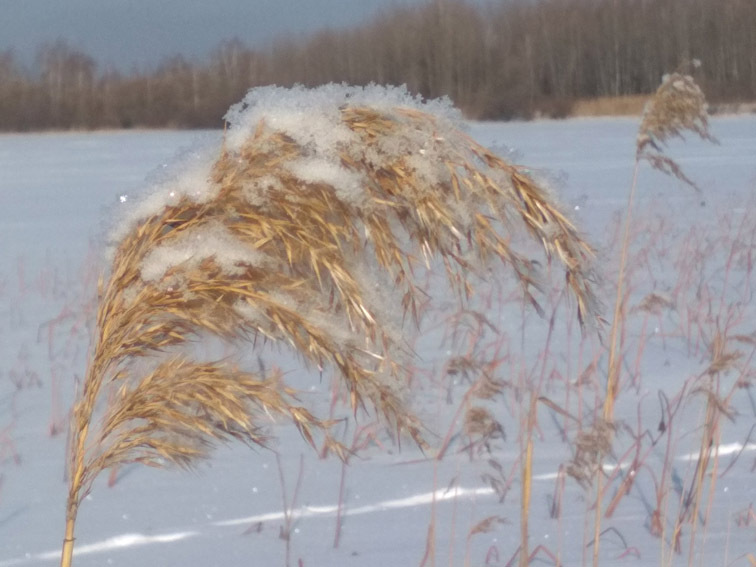 From the snow-covered ice stick the leaves stalks and cone-shaped seed boxes of lotus. 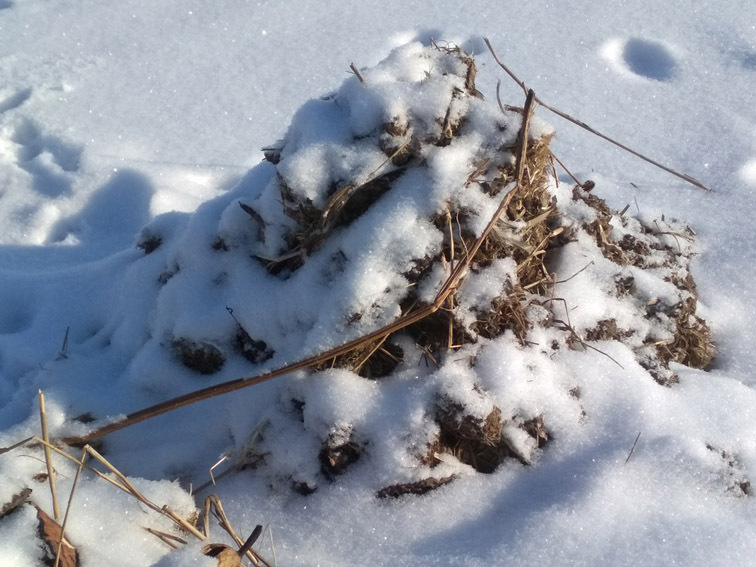 Along the lake shore one can see muskrat huts which look like piles of dead reeds and dirt.